It all started when I was going through Candice Chung’s excellent article on where to zero in on the best sushi Sydney has to offer. 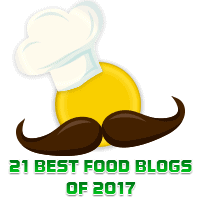 It wasn’t my first time reading it – like many of the sushi-ya featured within, the article itself is worth repeat business. But it was the first time a particular name jumped out: Azuma. 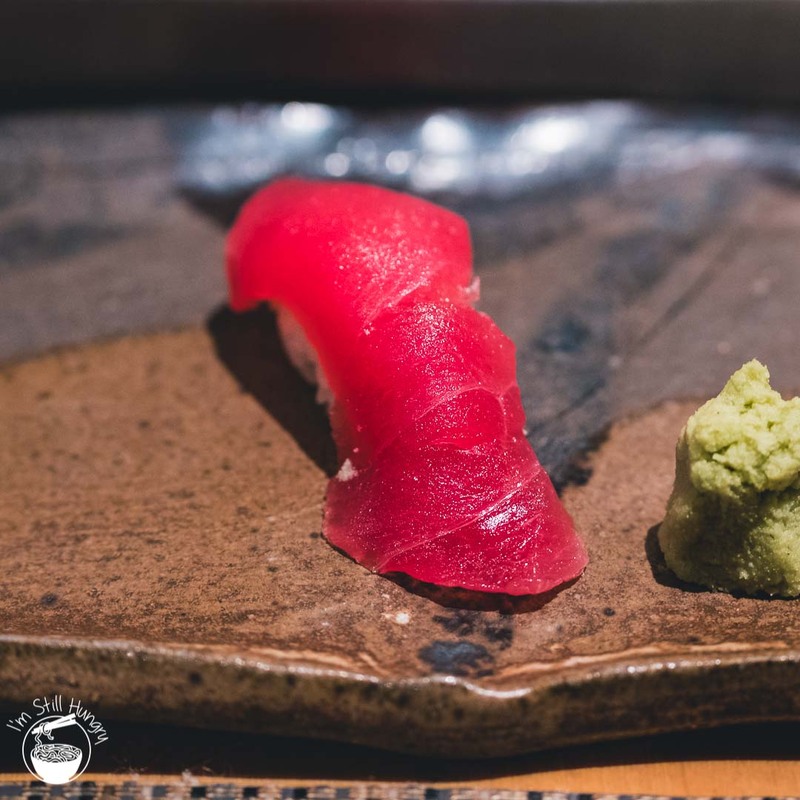 A name that has been part of Sydney’s Japanese dining scene in some shape or form since 1996, a name that has catered to Sydney’s corporate dining crowd since 2002, and a name that provides the highest expression of seafood worship – sushi omakase – doing so right under my nose all this time! Last week, Masuya; this week, Azuma Chifley. 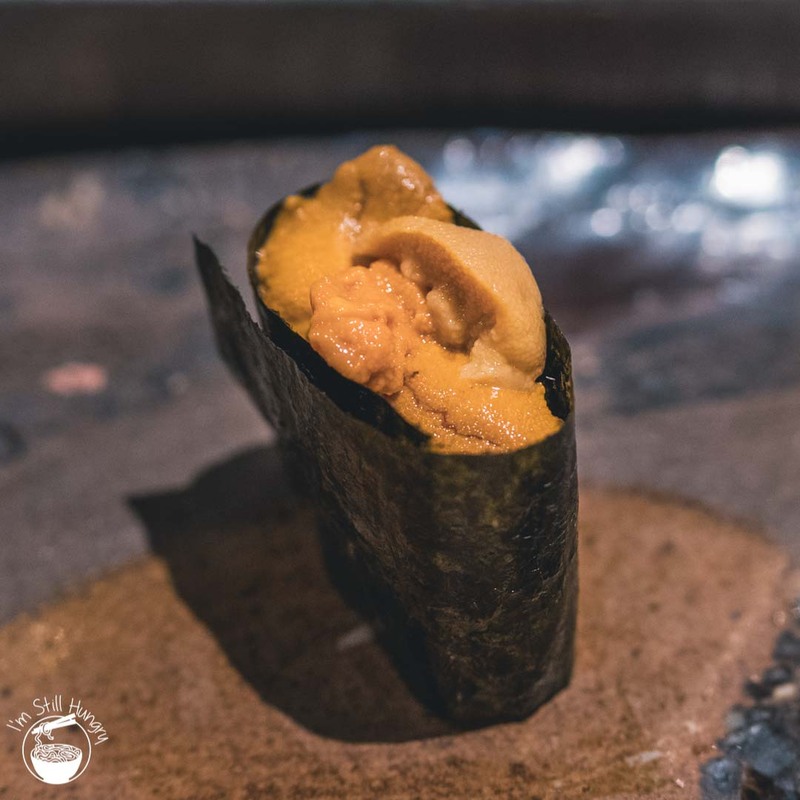 A bit of deja vu: ‘how did I miss this?’ You’d be forgiven for thinking that Sydney is undergoing an omakase renaissance. Or perhaps, that’s just my wishful thinking. 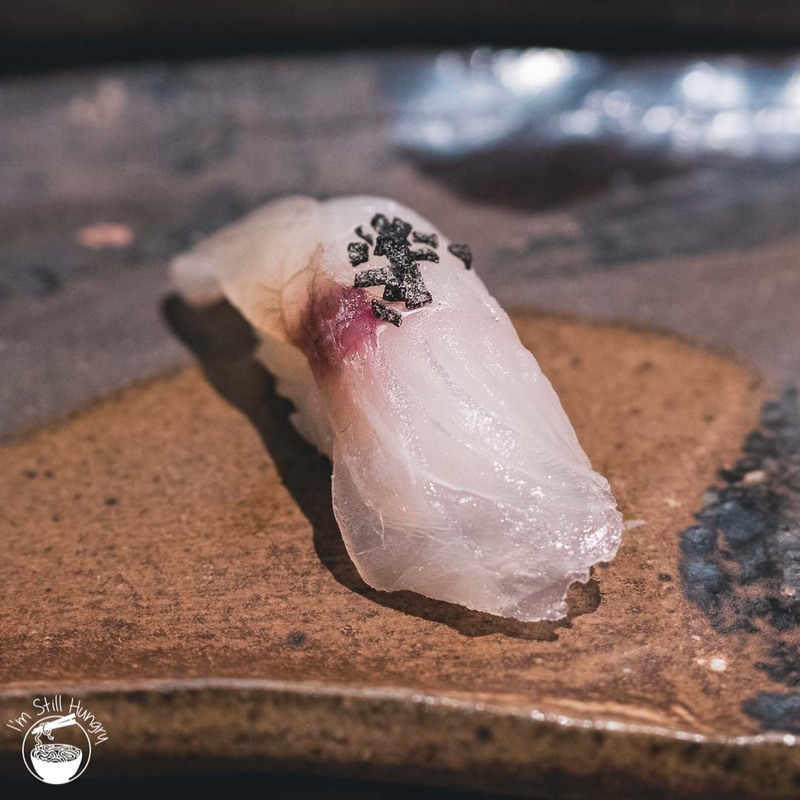 However, reality calls – to be unaware of a Sydney restaurant with a sushi omakase offering is to be unaware of literally over 10% of the available market. Starters: seared tuna w/ponzu, battered king prawn nanban, seared scallop w/yuzu miso, grilled spicy chicken tsukune, blanched spinach sesame dressing, braised pork belly kakuni. A predictable, tasty assortment with bonus points for the variety of technique on display. 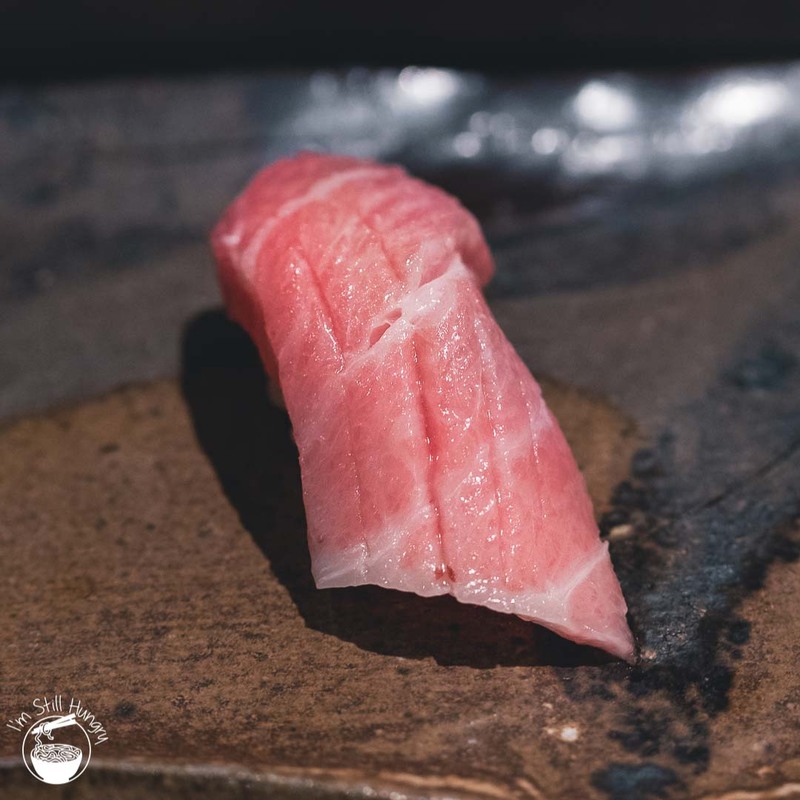 Like Masuya, Azuma has been around since the days when going out for Japanese was a risky proposition, to say the least. It was one of the few ‘good’ ones, as was often said. 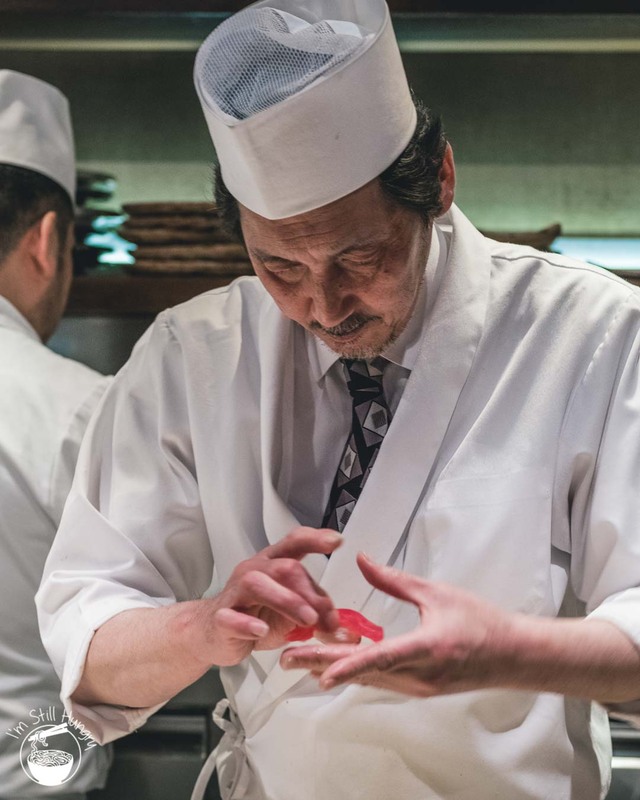 Under the stewardship of chef-owner Kimitaka Azuma, it is no understatement to say that his eponymous restaurant had firmly and deservedly cemented itself in any list of Japanese restaurants worth consideration. 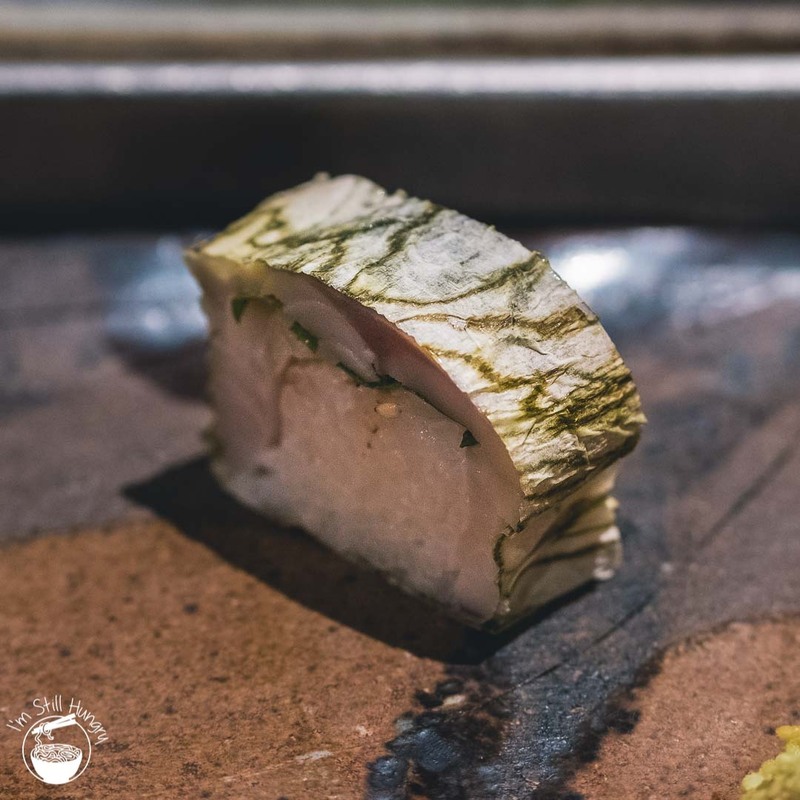 But the competition never rests, and an influx of excellent Japanese eateries over the last five years has meant that – quite frankly – a reason to return to Azuma was lacking. The last visit before this one? 2016. Then, there’s omakase. 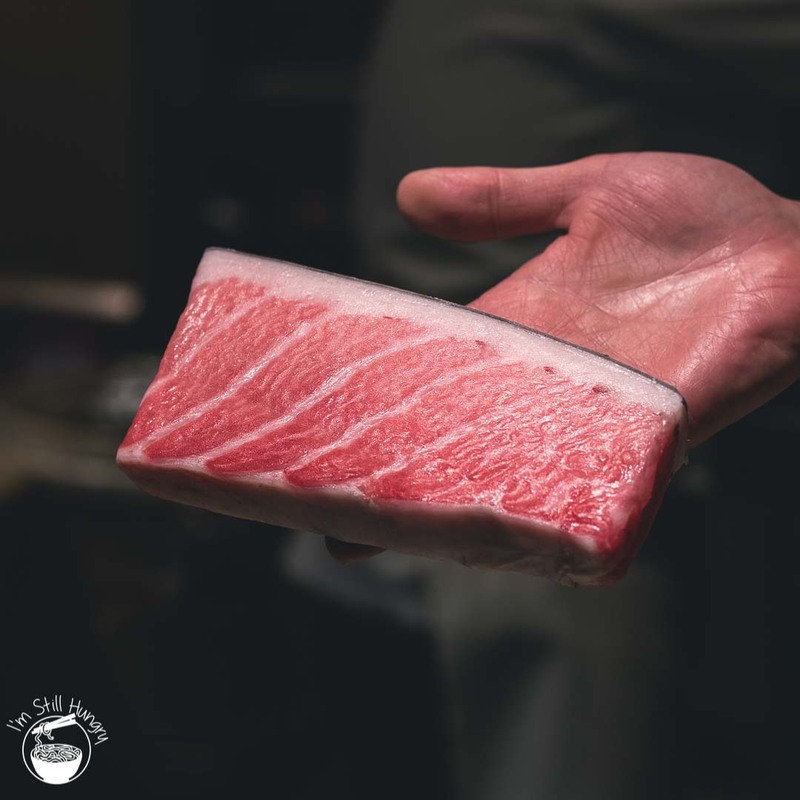 There is no shame admitting it – if you offer omakase, I’ll offer my wallet. Azuma’s is run by ex-Hana Ju-Rin alum Koji Sano. The online menu states you’re served by Azuma-san himself, but our experience says not to expect this. Take note. 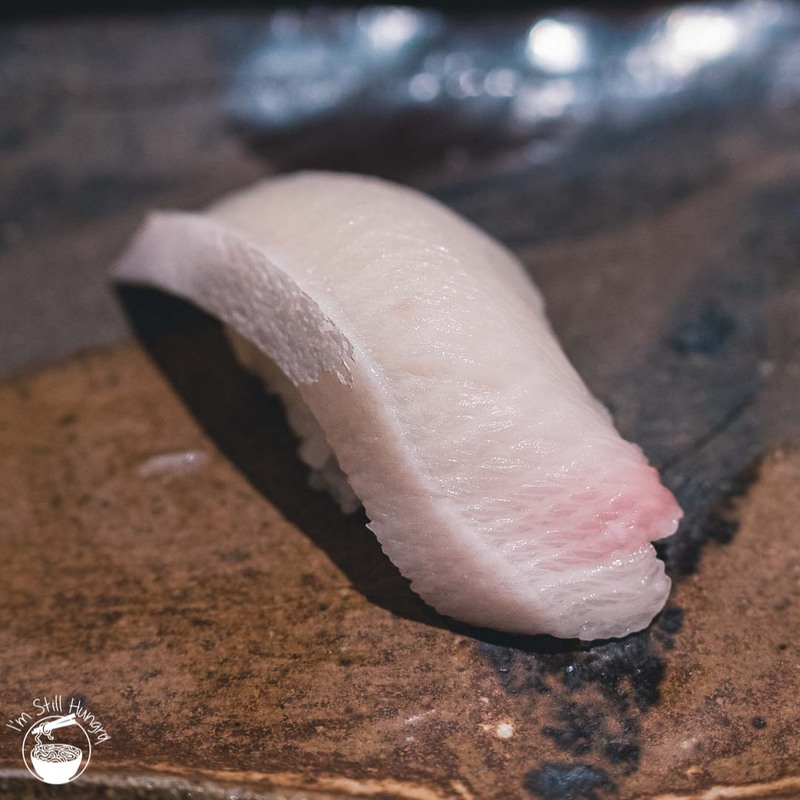 Omakase is a word that frequents this blog (and is often the answer to this writer’s appetite), but a recap never hurt anybody: the word (short for omakase shimasu) means to ‘leave it to you [the chef]’. 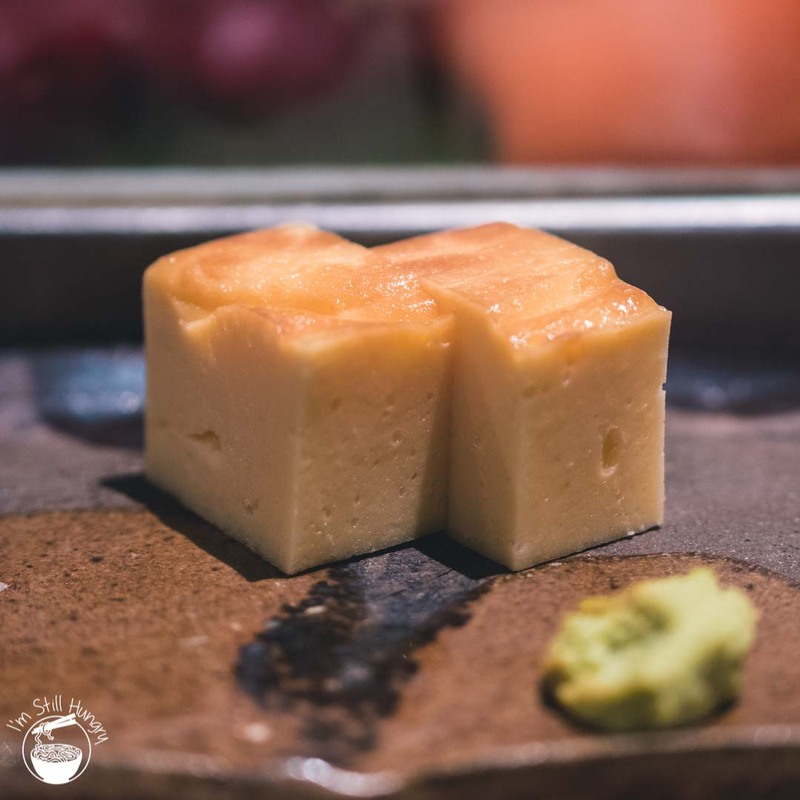 Think of it as the Japanese answer to the multi-course degustation in Western circles, where the chef (often called itamae) decides on the optimal meal format, dishes and progression based on the available ingredients. It’s highly seasonal, highly produce-specific, highly Japanese. Sushi omakase then, is of course, an omakase that focuses on sushi and seafood. Most start with multiple appetisers, culminate in 8-26+ pieces of hand-crafted sushi (mostly nigiri), and end with some form of sweet(ish) dessert to signal the end. 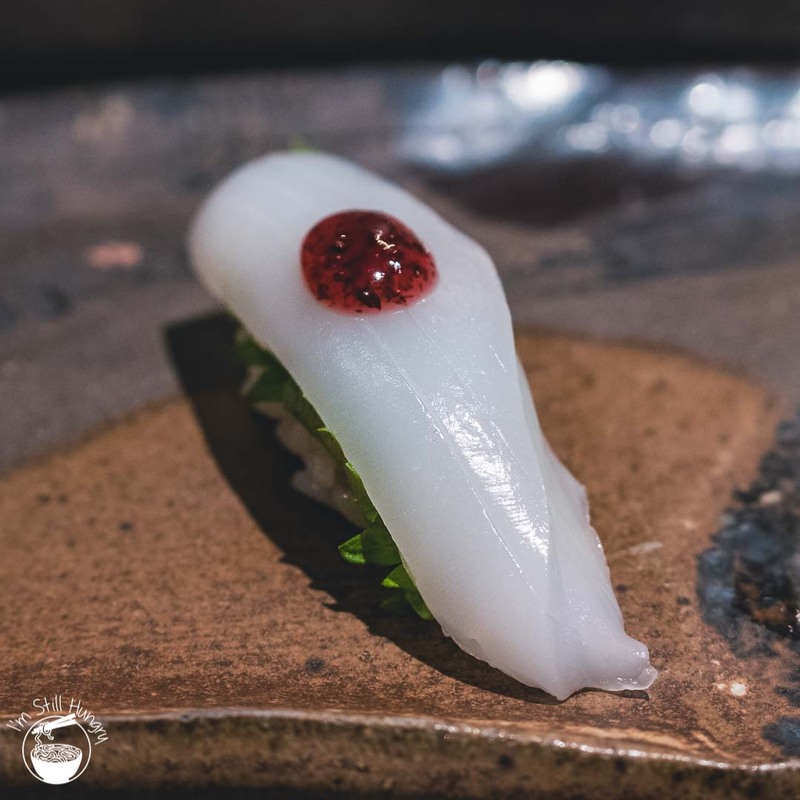 With the focus on ‘leaving it to the chef’ being instructive, Azuma surprisingly deviates from the script in that customers are encouraged to specify their preferences in advance, so the chefs can prepare a tailored menu. 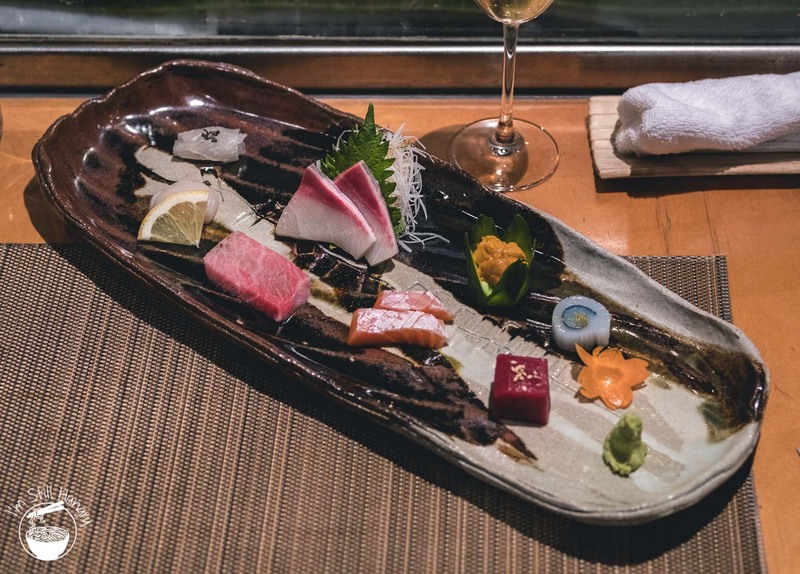 As such, notwithstanding a prix fixe ‘omakase’ degustation listed for $115 (you know what you’re getting in advance), a true bespoke experience ranges anywhere from $150-$250. This is good for those with particular preferences and dietary requirements, but for aficionados seeking a true ‘leave it to you’ experience will need to be absolutely clear about it when booking. 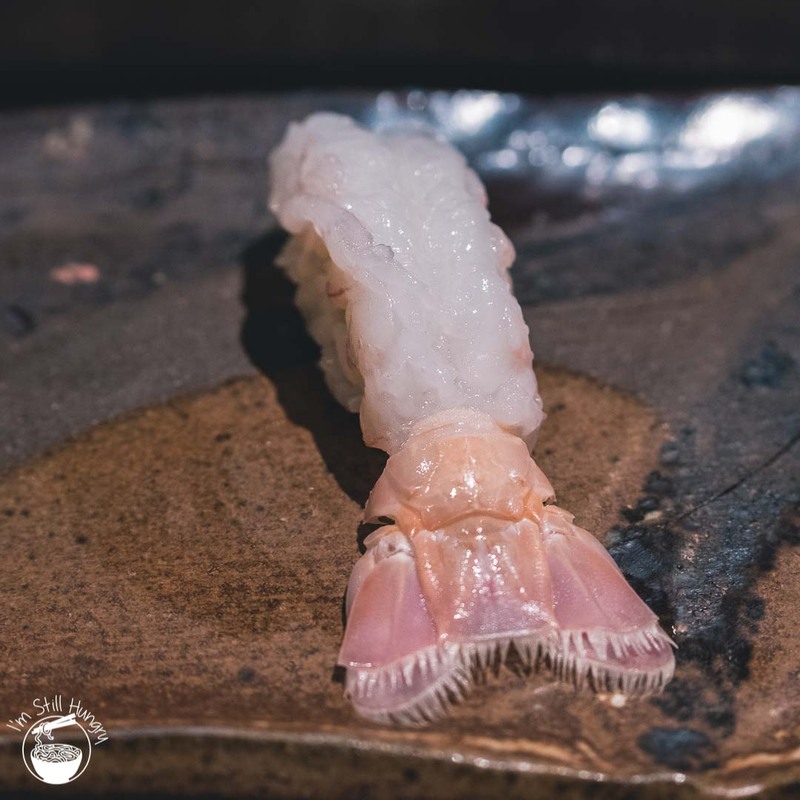 Naturally, because of this flexibility, an omakase experience at Azuma is not necessarily restricted to sushi omakase. 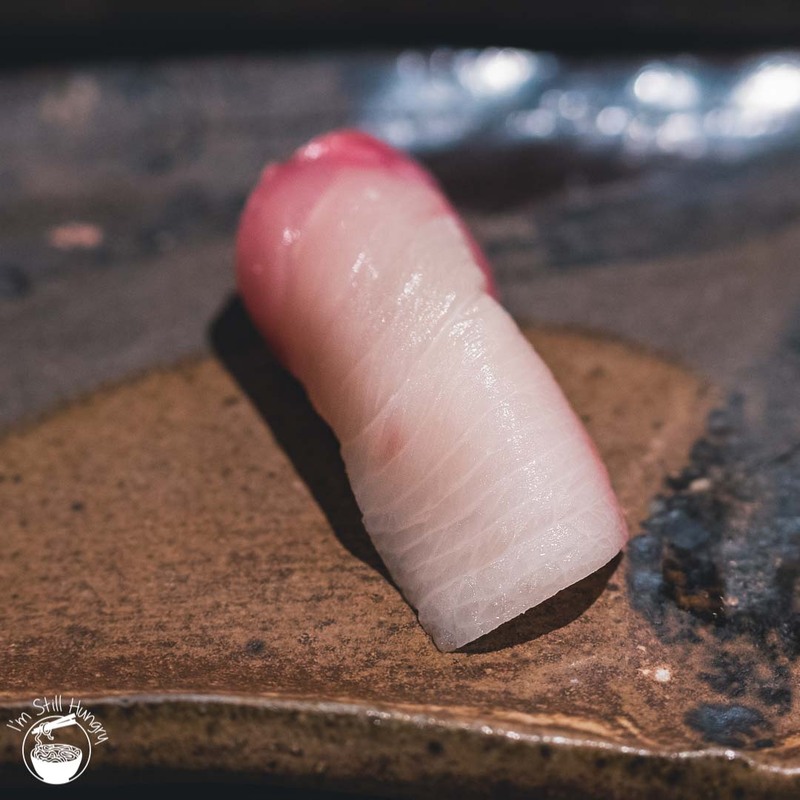 A full-blown kaiseki could be on the cards, if that’s how you like to stack the deck.In fact, a sushi omakase is often cheaper. For us, our specification of a ‘traditional-style edomae sushi omakase’ came back to us priced at $180. Why not $250? Surely that amount would allow me to binge on luxury like a politician on entitlements? However, it’s about what the best is, not what the price is. Of course in our case, adding in a cheeky bottle of champagne and a few sakes and…well, our experience ended up being just a little bit more than that. 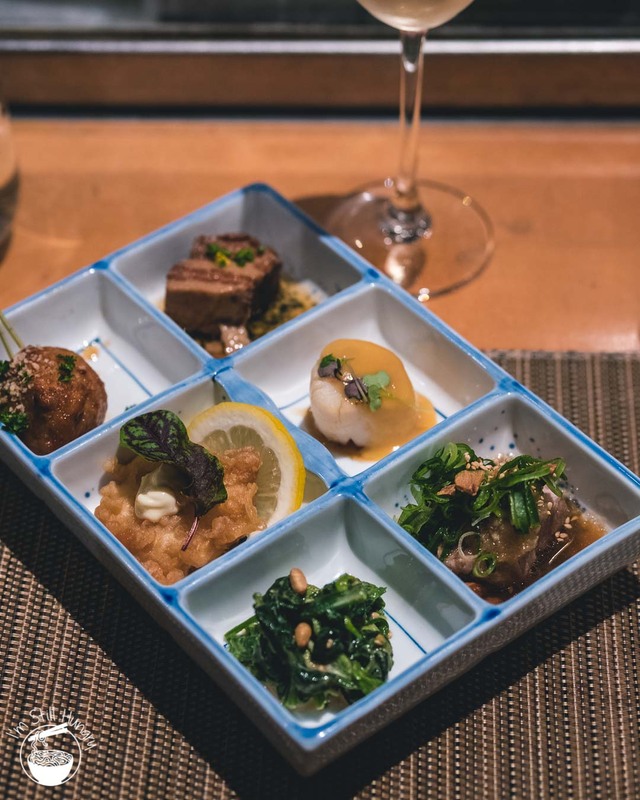 Our omakase at Azuma started off well, with a selection of heavy-hitting one-biters that spanned a spectrum of cooked, raw, light, and heavy. Most other restaurants would serve these courses separately so as to establish a procession and allow the diner to focus on each dish individually – but that’s more an observation than a quibble. 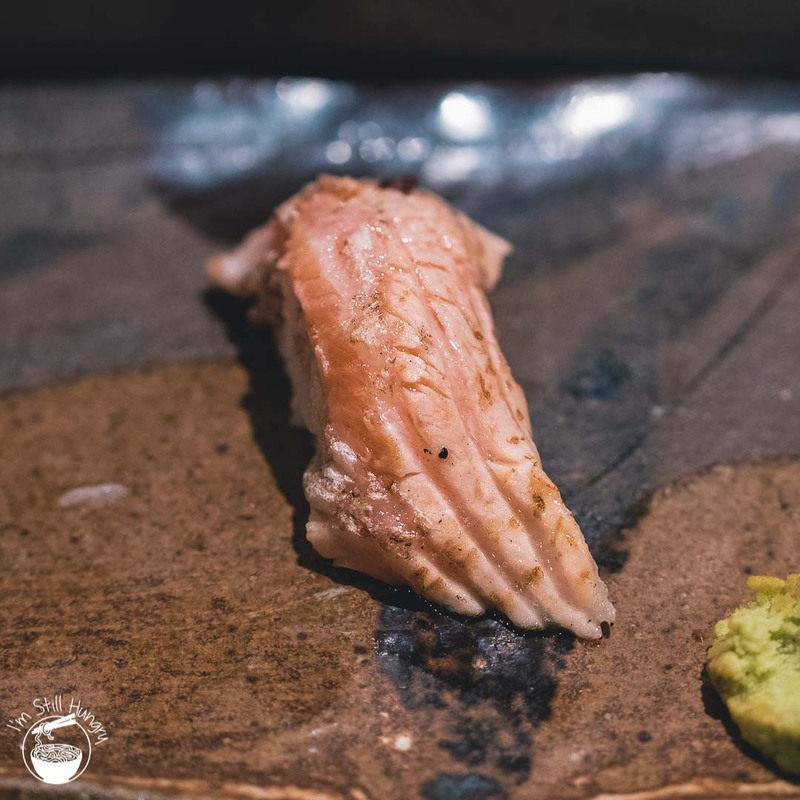 It was followed with a sashimi platter of staples – cuttlefish, flounder, fatty tuna, kingfish, uni, salmon and lean tuna. It’s not write-home good, but fresh sashimi goes a long way. 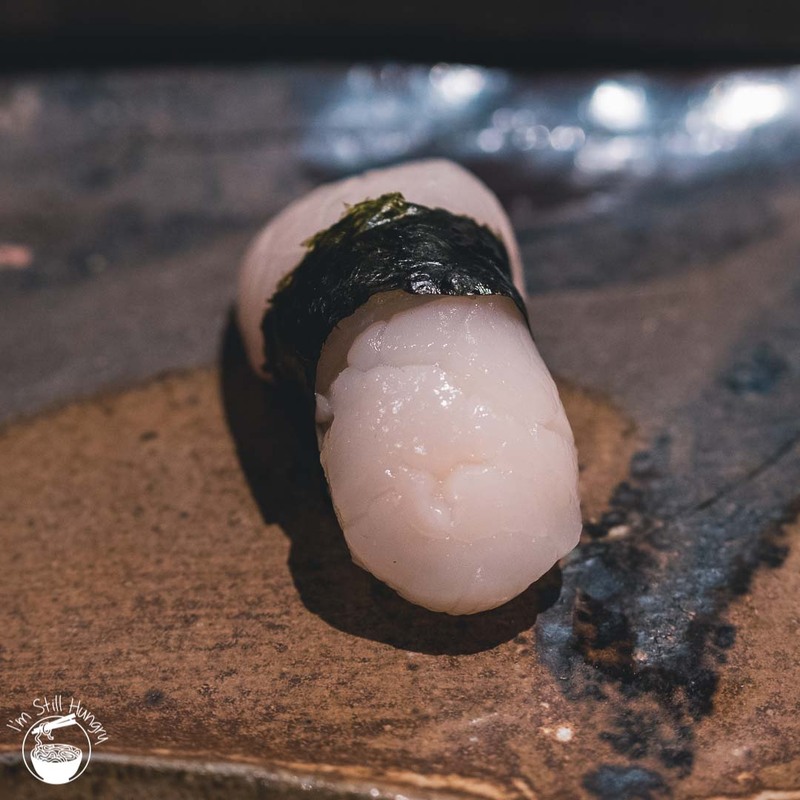 Compared to the starters’ relatively smooth sailing, Azuma’s nigiri faced some headwinds – the kinks are there, in the captions. Overall, I was left wanting some consistency – a rare few pieces were excellent, many were ‘just nice’, and some were keeling off-balance. A steady ship it wasn’t. 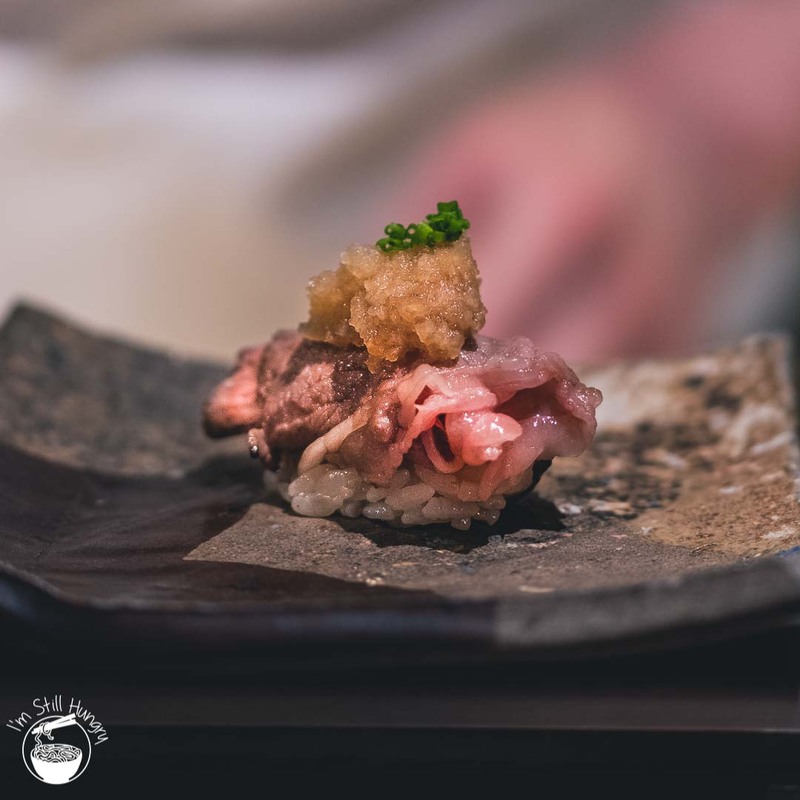 For the most part, neta (sushi topping) not harmonising with the shari (sushi rice) was a major factor, with the rice itself being just ‘okay’ – perhaps a little bit gluggy on the texture front, where I couldn’t discern the rice grains particularly well. Tamagoyaki (egg sushi). This is the sweetest tamagoyaki I’ve ever had, and not in a good way. It was also very dense. Fortunately, this was not the way our meal ended. Of course, it’s far from a ruined experience. Nigiri aside, the soup course was an excellent number: doing my head in with that of a scampi’s (and hey, its nigiri was pretty good too). The chawanmushi (egg custard) was so silky smooth I forgot to even take a picture of it. These were all good things. And while an overdone tamagoyaki threatened an unnaturally cloying finish, a triplet of desserts were made some peace with my palate. 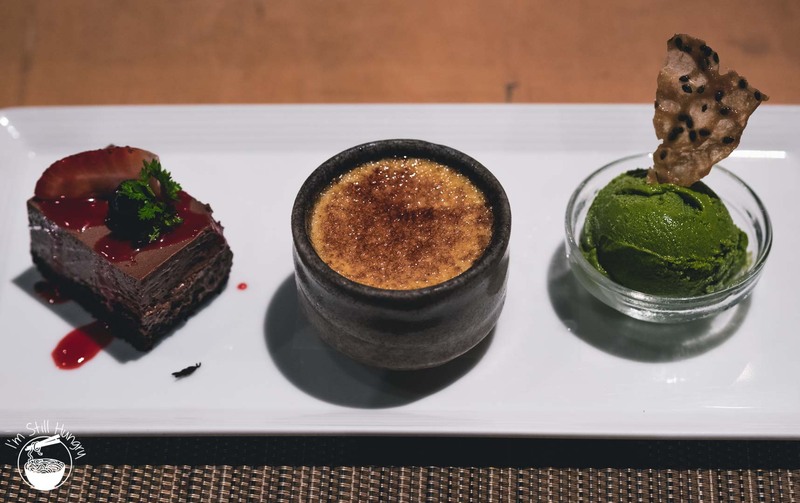 I had never been so glad to see matcha ice cream, though the Belgian chocolate mousse (and to a lesser extent, the creme brulee) aren’t the best ways to end a delicate sushi meal. So where does that leave us? On the one hand, another option (right under my nose, no less) for the rarefied experience that is sushi omakase is never a bad thing. On the other hand, to say that it is equally comparable to its peers would be disingenuous to all my readers – who have the critical decision on how to allocate their income. That there can be such disparity between such a small circle of sushi compatriots is boggling, unfortunate, and possibly even just a one-off. Not all meals can be great. In a space where the bar is set so high, not meeting it is unavoidable by definition, for many. ‘It’s okay’ – is what I say here; ‘It’s okay’ is what I would say to friends. You could try calling Sashimi Shinsengumi until your discover the numerical display limit of your phone’s ‘number of sent calls’ (fun fact: for iPhones, it’s 500). You could try and book Sokyo if you have the diligence to plan for a single dinner with more care than an overseas holiday: 8 months in advance. You could pay $115 to try out Azuma’s base-level ‘omakase’ degustation, and see if your boat floats higher than mine: it just as well might. 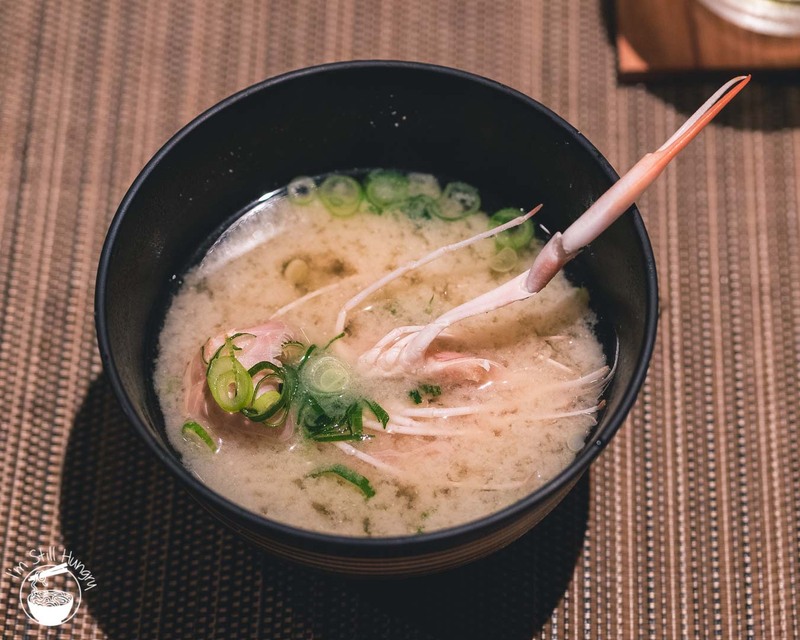 This post is based on an independently-paid visit to Azuma Chifley. Liked That? Share The Love! Hi there, I’m a fan from Sydney who has been following your page for a while… With summer approaching, I was wondering if it would it be possible to hear your thoughts about Gelateria Gondola at Chatswood? I’ve found their gelato to be better (and creamier) than the famous Cow & Moon. Wishing you a great week ahead! Hi Jessica, thanks for commenting (notwithstanding that it is off-topic to the post). I’m not hyper-specific (picky) about gelato – so a great gelato and an excellent gelato are both good for me. Cow & Moon is great, but has become somewhat overhyped – though technically not through fault of their own. Gondola is comparable, but it’s not so good that I would cross the bridge just to try it. Naturally, if I lived in/near Enmore or Chatswood, either one could become the ‘regular spot’. For the record, my favourite gelateria is Anita Gelato in Chippendale. 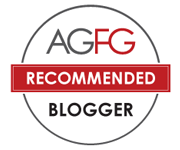 I'm Still Hungry - A Food & Travel Blog by Michael Shen is licensed under a Creative Commons Attribution-NonCommercial-NoDerivatives 4.0 International License.